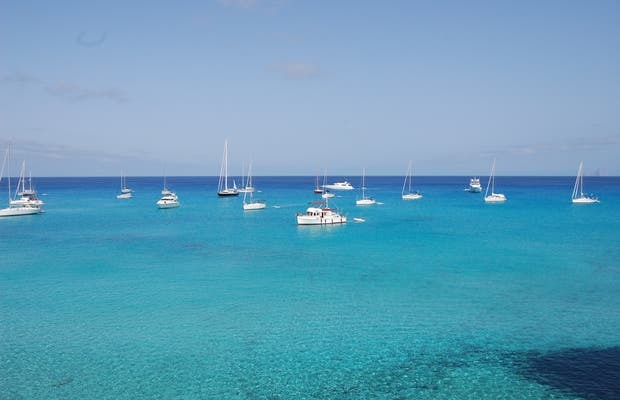 The best of Cala Saona is definitely experienced from the sea. Watching the sunset from the sea and spending the night, then waking up in paradise is an unforgettable experience. If you have the chance to go there by boat it's worth it to get away from the islands and spend a night in this cove.